Two company founders and a good idea, that is how GLASSLINE came into being. For, at the end of the nineties, hardly anyone in the market offered reputable point fixtures for glass. There were only two or three manufacturers in all of Europe who sold rather expensive products of inadequate quality. "We'll do it ourselves," thought the founders. That was in 1998 – GLASSLINE was born. The drawings were quickly created on the basis of customers' needs. After initial prototypes from the Czech Republic, the founders agreed that concentrating on the Baden-Württemberg region was clearly the better choice. Factories were quickly found – now the quality and delivery reliability were guaranteed. 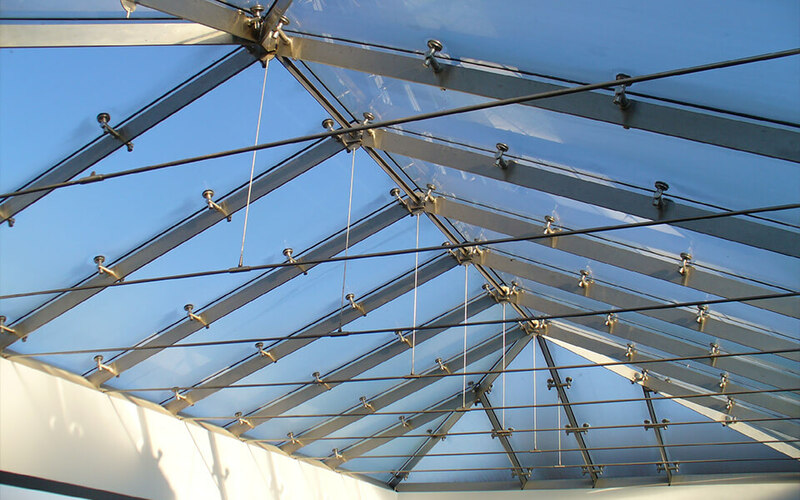 Development, production, patenting and distribution were thus in GLASSLINE hands and the success proved the two founders right – the GLASSLINE point-to-point holders in their various designs became a hit on the market. 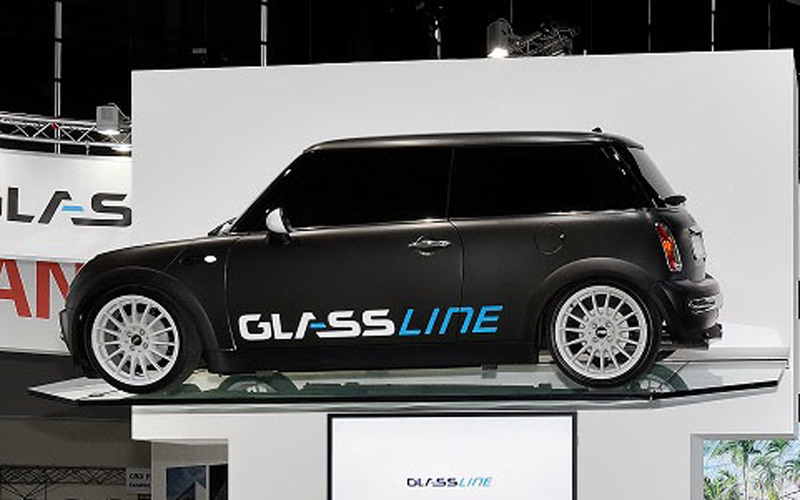 The anecdote on the side: GLASSLINE wanted to launch on the market with its first brochures, the brochures were printed, there were even first orders on hand. In order to bridge the gap between production and delivery, though, they needed to borrow 20,000 German Marks. And... a bank refused. "Don't offer so much, then you won't need so much money," was the banker's advice. The good man could not see the point of point holders for glass. So... dig deep in one's own pocket and finance everything oneself – to this day GLASSLINE is completely independent of banks. 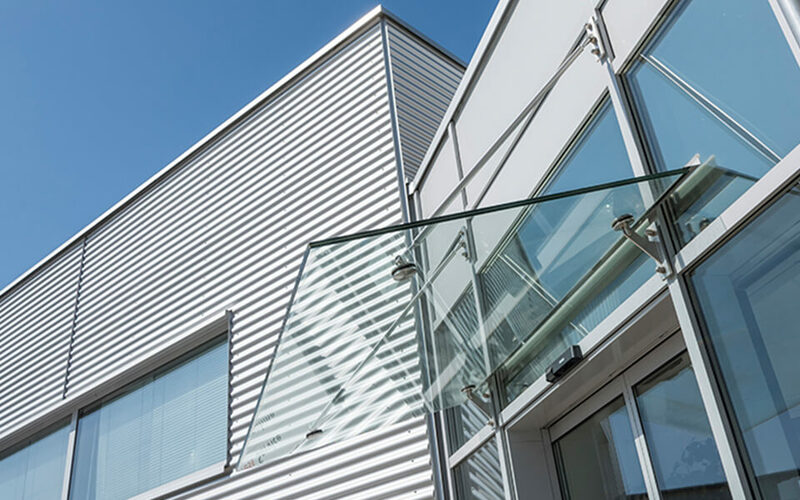 After the first 50 square metre office in Leingarten became too small in 1999, with 100 square metres of office space and 400 square metres of production hall, GLASSLINE expanded ten-fold in 2000 in Heilbronn. It was here they then started their own production with two used CNC lathes. Already in 2003 the space was insufficient again, and in 2005 the founders of GLASSLINE found the right property in Adelsheim. 12,000 square metres and EU funding for the structurally weak area – the company grew vigorously. 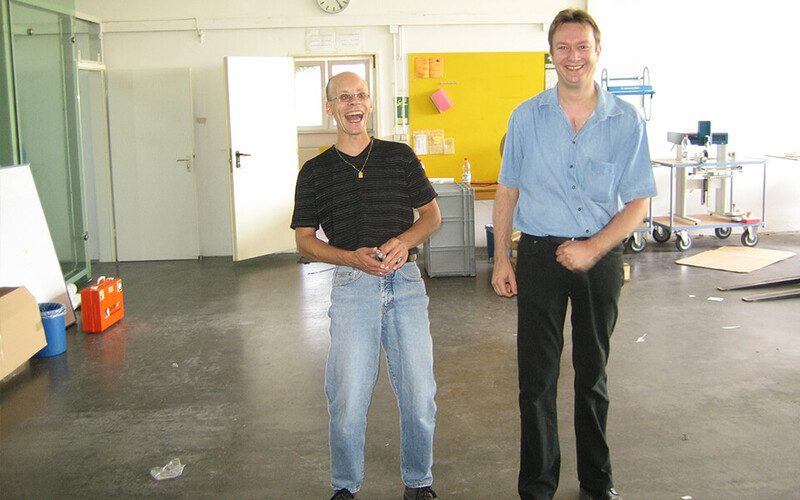 The beginnings in Heilbronn with cramped offices, small production and assembly... and a lot of fun. Then came the next highlight: in 2004 GLASSLINE received an AbZ (German General Building Inspectorate approval) and later also the European counterpart (ETA) for its point holder. GLASSLINE was the first company to receive these certificates and thus a pioneer in the market – as has often been the case. After all, these approvals make the difficult accreditation on a case-by-case basis superfluous for both customers and builders. 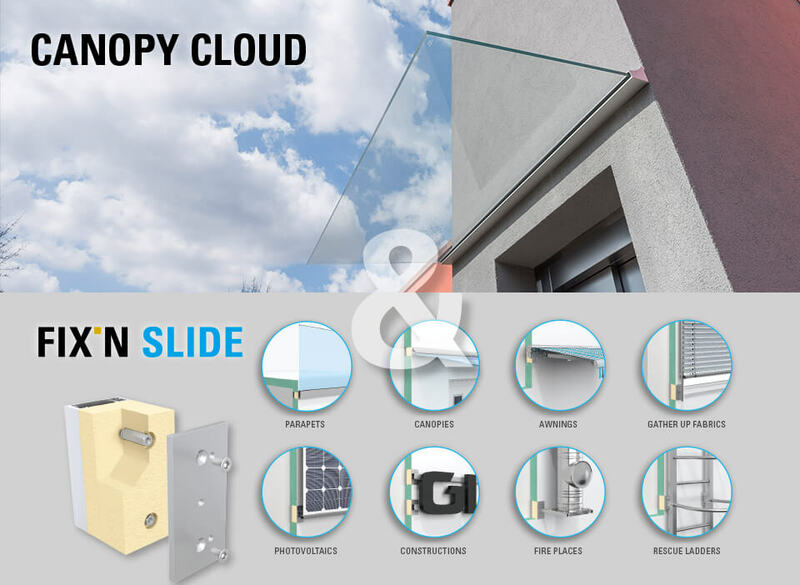 Inspired by these successes, in 2006 the innovative company developed the CANOPY system with its different versions and BALUGA, a glass railing system with small filigree point holders, both on the basis of customer requests. In 2008, BALARDO was an even greater success – making glass railings without posts possible. This was, of course, particularly pleasing to architects, as the transparent design was no longer interrupted by the point holder or a post. The system became a hit. In 2012, among other things, GLASSLINE extended the system with an aluminium variant and offered the market the revolutionary and simple CLICK • N FIX mounting set. In 2013, the BALARDO alu system was even awarded the prestigious Innovation Award for Architecture and Construction. 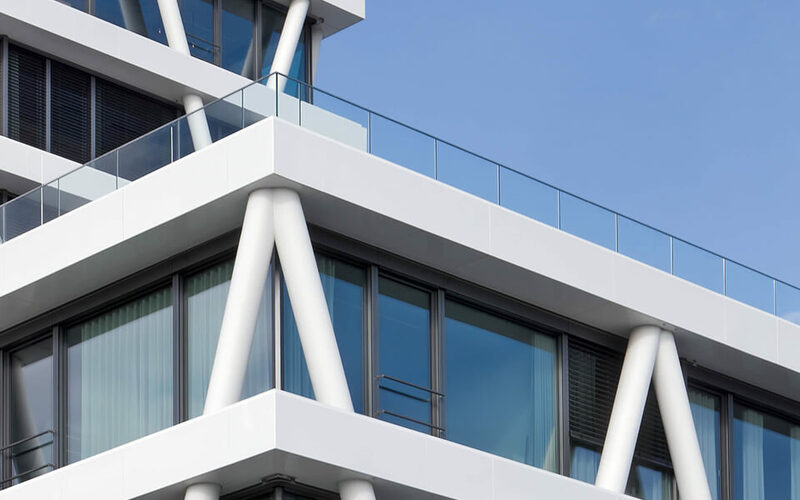 The metall-markt.net magazine wrote: "As a provider of high-quality frameless glass architecture, GLASSLINE continues to set trend-setting market impulses. Its future-oriented innovations are a convincing argument with revolutionary product concepts and high quality. In Munich, the Adelsheim company was awarded one of the most coveted awards for BALARDO alu. The innovative all-glass railing system was awarded the 'Architecture and Building Innovation Prize' by a jury of twelve renowned architects." The system has indeed been a great success in the market. Yet even with the increasing number of competitors and, of course, greater price pressure, GLASSLINE is not running on the spot. In 2014, the opportunity arose to acquire a neighboring property with an appropriate production hall. Now, nothing could stand in the way of expanding production. Even today, the company remains true to its guiding principle of offering its customers products that make their work on the construction site easier. Thus, for instance, the staff at GLASSLINE were repeatedly asked if they could provide advice and support for attaching add-on elements to thermically insulated walls and façades. Lo and behold, the research revealed that there were only isolated products on the market, and providing only partial support. 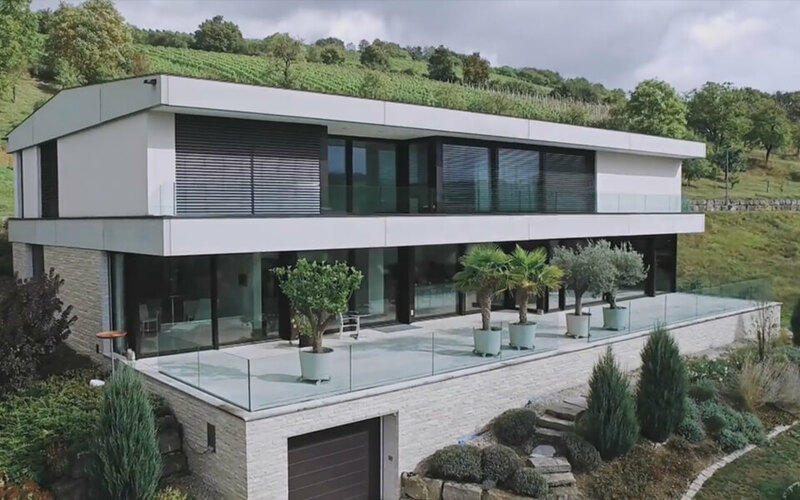 2017: And again, the developers at GLASSLINE landed a coup: with their statically tested and approved FIX•N SLIDE there is now indeed an effective system which, on the one hand, can support greater loads on thermically-insulated outer walls and, on the other hand, substantially reduces thermal bridges, thereby ensuring thermal separation.